- This is a team handling Sales position in the Consumer Cards Sales team, and is responsible for driving business through an outsourced team, achieving monthly sales targets and acquiring new customers through consultative selling of our cards products via defined channels of acquisition. - Timely execution of all sales activities - leads, campaigns, referrals & any self-generated leads. - Set appointments, track team members, listen to customer needs and sell the most appropriate product. - Acquiring and developing new talent, ensuring On-going team coaching and development. - Monitoring and evaluating team performance, creating a culture that motivates, empowers and retains talent. - Ensures all applications are fully and accurately completed and submitted properly. 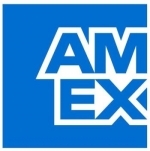 - Be the interface between Amex and the customer to resolve any application processing issues. - Drive the on-boarding of new customers and initiates spend enablement activities. - Keep up-to-date on products and competition. - Attend and participate in regular staff meetings. - Engages in regular portfolio planning to determine areas of focus & project accurate full year forecasts. - Attend relevant industry and partner conferences, tradeshows and networking events. - Ensuring all performance standards are met viz. business targets, controls and compliance. - Engaging with premium customers to build relationships, and delivering a positive customer experience while acquiring new customers. - Expansion of internal and external relationships, and drive sales results. Experience Required : Minimum 1 Year of team leading experience in financial services domain. Candidates with more than 24 months of experience in B2C, IT sales, Ecommerce, Travel, Lifestyle, Healthcare, Real Estate can also apply. - Proven track record of meeting and exceeding sales goals. - Demonstrated strategic ability- able to link Amex and customer goals. - Excellent verbal and written communication, relationship building experience in developing and executing successful sales strategies. - Excellent planning skills and territory management skills. - High levels of initiative, self-motivation and time management. - Ability to influence and negotiate with customers both internally and externally and at all levels. - Ability to engage and gain commitment effectively across all communication platforms (via telephone, email & face to face). - Ability to establish/maintain credibility with customers and partners. - Strong Microsoft Word, PowerPoint, Excel skills.